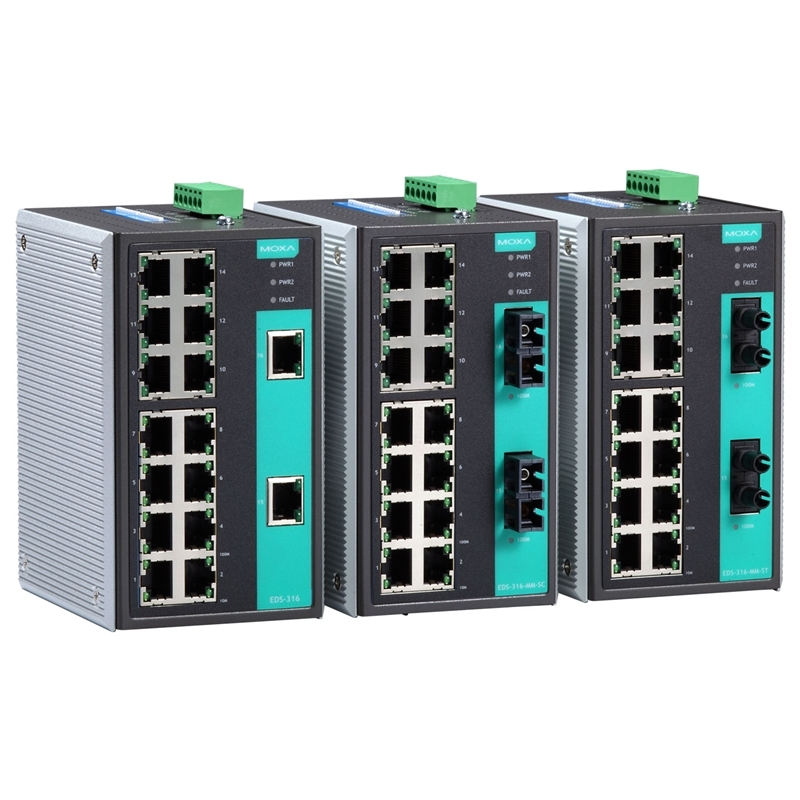 The EDS-316 are 16-port Ethernet switches that provide an economical solution for your industrial Ethernet connections. The built-in relay warning function alerts network engineers when power failures or port breaks occur, and the switches are designed for harsh industrial environments, such as in hazardous locations (Class I, Div. 2/ATEX). The switches comply with FCC, TÜV, UL, and CE standards, and come in two model types. Standard operating temperature range models (0 to 60°C) and wide operating temperature range models (-40 to 75°C). Both models undergo a 100% burn-in test to ensure that they fulfill the special needs of industrial automation control applications. 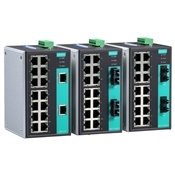 The EDS-316 switches can be installed easily on a DIN-Rail or in a distribution box.